Manufacturer of a wide range of products which include safety goggles and safety hand gloves. Our Safety Goggles are designed after a lot of research to make them completely insulated toward causing any harm. Our offered goggles provide a protection solution for eye clients. Our vendors' designer kept in mind, before designing this range. We offered goggles are designed as per our client’s requirements. These goggles provide complete eye protection against liquid splash, dust, fumes and flying debris. Owing to our expertise in this domain, we are committed in trading and supplying an exclusive range of Safety Hand Gloves. These are fabricated by our vendors using supreme quality material and latest trends as per the demand in the market by keeping in mind defined industry norms. 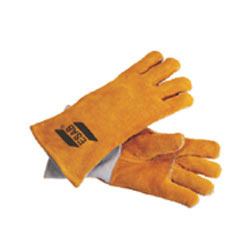 We offer these hands gloves as per the needs of the clients at highly competitive prices. Looking for Safety Equipments ?